If I am being honest, I am not really the Twilight-watching type. However, earlier this month, I got started with a passable copy of the first Twilight movie that I downloaded months ago but could not before that day bring myself to watch. A bit slow in pacing, perhaps; but turned out not too bad, after all. In fact, it was not unlike a feature-length segment of a soap opera. As with any soap opera, the ending left the viewer hanging in the air in anticipation of the next episode. Although the plot of the Twilight series was in all honesty really quite shallow, at the end of the day it is in the innovation department that the Hollywood moguls jump the gun on everyone. Thus, I watched the next three online and went to the cinema for the finale. I guess that now makes me now the Twilight-watching type. The plot of the entire movie series is remarkably simple, even shallow. Vampire falls in love with human. Human reciprocates. Werewolf makes for an odd love triangle. Werewolves join vampires and fight other werewolves. Werewolves and vampires form coalition to fight other vampires. And they made five top-grossing movies out of this... What genius these Hollywood moguls have for making tons of money from basic plots that school kids can think up! I thought the computer effects as the humans morphed into oversized wolves were brilliant – why can we not do those in Pinoy movies? – but what I found truly remarkable has been Hollywood’s continuing fascination with vampires and werewolves. In this day and age of nanotechnology, what seemingly ought to be anachronisms like vampires and werewolves are curiously still very much en vogue. Explain that to me! Apart from Twilight, there was, of course, the Van Helsing and subsequent Underworld series. Heck, just this year, Hollywood even contrived to turn America’s iconic President Abraham Lincoln into a vampire hunter. And how vampire movies have evolved! In the old days, these used to be strictly of the horror genre, set in some dark medieval castle and made creepier by the most unnerving sound effects and music. These days, they are not scary at all. The Underworld movies, for instance, probably fall under the fantasy/action category for their elaborately-choreographed fight scenes. 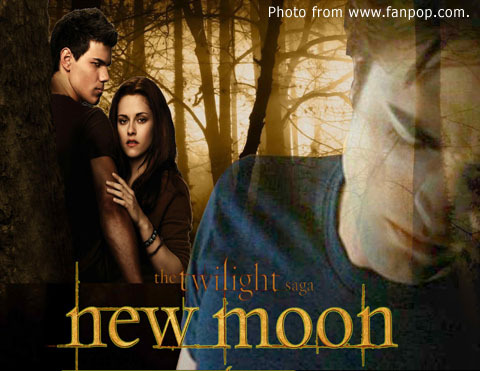 The Twilight series, on the other hand, is as cheesy as love stories can get. I was fascinated by how many vampire stereotypes were given makeovers by the Twilight movies. One such stereotype, doubtless popularised by the Dracula movies of yore, was that vampires retired to a cosy coffin somewhere in the castle at sunrise. In Twilight, the vampires were out in broad daylight; albeit they avoided sunny days else their skin glistened as though awash with silver dust. I had not heard of that one before. Human instinct, I would have thought, is to be scared of and avoid vampires – unless, as in the Dracula movies, the human is placed under a spell by the vampire. In Twilight, the lead female character fell in love with a vampire and made a conscious decision to become a vampire herself. How unnatural was that? Of course, Carlisle’s family of do-gooding vampires was in itself rather strange. The vampire as per stereotype is a creature of evil driven by a lustful craving for human blood. They do not attempt to blend in with humans, go to school, drive cars and use cell phones. As to the uneasy coalition between the vampires and the werewolves, I am not sure if at all that was strange. First of all, in Filipino folklore, vampires and werewolves – or our local version, the aswang – are all evil creatures of the night. That they fought each other, I believe, is not part of Filipino folklore and so, thus, is more an American thing. The animosity between the two creatures has also been the theme for the Underworld series. Heck, there even used to be this game on Facebook called Vampires v Werewolves that I used to play but gave up after all the gold I painstakingly accumulated got clandestinely stolen the next morning. How annoying was that! Back to Twilight, the attempt to explain vampirism as a viral disorder transmitted by way of a bite not unlike the way rabies is transmitted was also probably an innovation of the movie series. I have come across write-ups before that attempted to explain vampirism as a psychiatric rather that physiological disorder. Folklore has it that the way to kill a vampire – if you can at all call it that, knowing as we all do that the vampire is already dead – is to drive a wooden stake through its heart or with anything made of silver. In Twilight, the vampire is despatched with fire. The speed and strength of the vampires are also probably contemporary inventions evident as well in the Underworld series. In the old days, they turned into bats and flew away. In Twilight, the vampires left the morphing to the werewolves but would have shamed modern day Olympic sprint and jump champions. Twilight was about vampires but was not a scary movie at all. It had werewolves but largely avoided a ‘vampires v werewolves’ subplot. It is a love story that made use of advanced morphing technology and special effects. Critics and purists might not have given the series the nod; but the viewing public certainly did – at the box office where it matters the most to the Hollywood moguls.